Getting lost is no longer an option! With 230km of trails incorporated and categorised, with both walking and mountain biking options, all stored in our GPS systems, all you now have to do is follow the guide! After you choose one of the circuits available, equipped with one of our hiking GPS devices, your route is displayed and all you have to do is enjoy roaming through the surrounding nature. We can provide you with a wide range of trails, from the family-friendly path overlooking the valley to the longest one, which skims along the edges of the region known as the "heart of Gascony". Between 7 and 35km in length, these routes provide some splendid views out over the Gers countryside, some of which pass through typical little Gascon villages, while some more energetic options include Lavardens and its castle, and various other curiosities. We provide you with the option of accessing all our GPS hikes directly online, showing distances, undulating contours, altitudes, special features, levels of difficulty and more. But more importantly, you shouldn't forget that you also have the option of downloading them in .kml format so you can see them via Google Earth or in .gpx so you can load them into your own GPS hiking device. 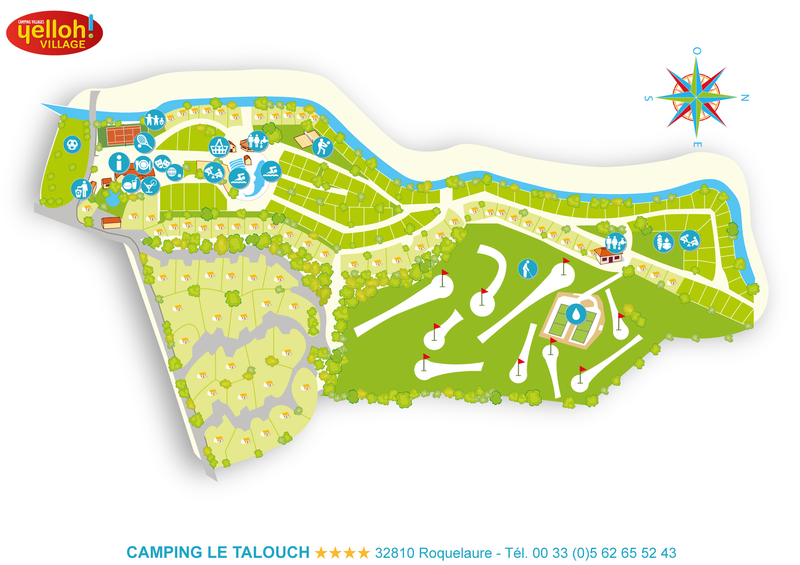 Find out about all sorts of other hiking options close to the campsite in the Gers department and lots more on the TraceGPS website. Find out about all the other hiking options available in the Gers department, in the heart of Gascony and of south-west France. Long and short hikes, mountain biking, horse riding, river trips and canoeing and kayaking available via the randonnee.tourisme-gers.com website (site in French).